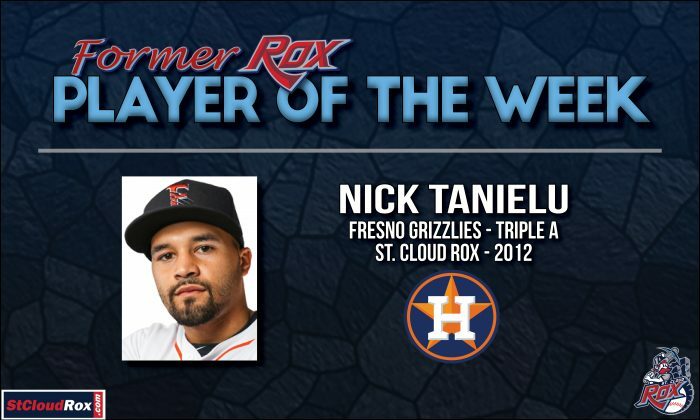 This week, it’s Nick Tanielu, an infielder who played in St. Cloud during the 2012 season. 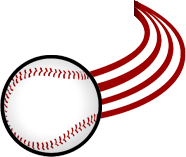 Tanielu, who just turned 26 years old, is currently playing in the Houston Astros organization with the Fresno Grizzlies. During the past week, Tanielu put together a strong showing in four games, going 11-for-19 at the plate with seven runs scored, two home runs and six RBI. In 76 games with the Grizzlies this season, he is hitting .289 with 17 doubles, five home runs and 37 RBI. Tanielu, who was drafted by the Astros in the 14th round of the 2014 Major League Baseball Draft, played in 40 games for the Rox in 2012. During that span, the infielder carried a batting average of .336 with 15 doubles, one home run, 21 RBI and three stolen bases.